I am going to quote a paragraph from my colleague, Judy Willis MD an EduTopia Blogger: http://www.edutopia.org/blog/unprecedented-opportunity-for-educational-equity-judy-willis-md#comment-122566 "At Carpe Diem Collegiate High School and Middle School in Yuma, Arizona, a system called "blended learning" provides students about half of their instruction online. These learning programs include core content in math, language arts, science and social studies. Four times a day, small groups of students participate in subject-specific teacher-guided workshops that build on their core content with opportunities to think critically about what they're learning and apply it to class projects. Teachers also monitor their progress and provide remediation where needed." This quote almost parallels what I did at my Alma Mater two years ago with Briones MILC. MILC stands for Multiple Inputs Learning Concept and Briones is my last name. 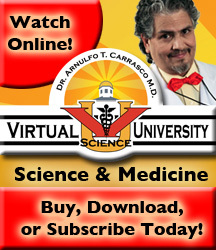 For those of you who may not pay attention to the by lines, I am Paul O. Briones Host & Co-Creator of Virtual Science University and Arnulfo Tarin Carrasco MD is also Co-Creator of Virtual Science University and my Executive Producer. At my Alma Mater, during the initiation of my pilot study, I would use the online Virtual Science University Lectures or DVDs and get young people to learn the foundation of the concept. Then I would ask the students to use the information to think critically about how they were going to use their Project Based Learning Lab to do the lab and think at a very high level of Bloom's Taxonomy either Synthesis or Evaluation. This is what I believe is missing with American Science Education! We are not using what the Finnish are doing with a very high rate of success! 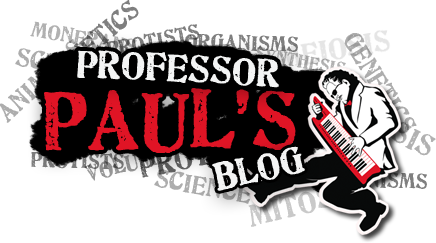 We are not being fair to all student subgroups by the way we teach and deliver the lesson. When are we as a country going to get out of our COMFORT ZONES and start TEACHING? OUR NATIONAL SECURITY DEPENDS ON IT!! !